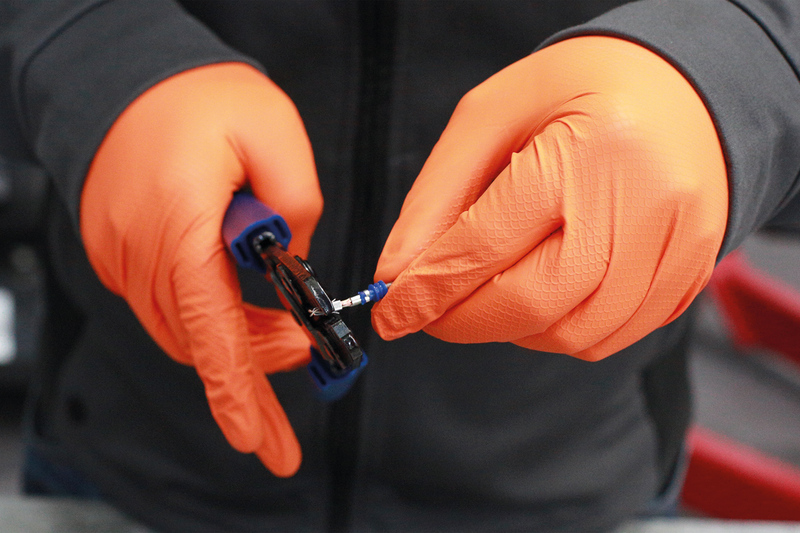 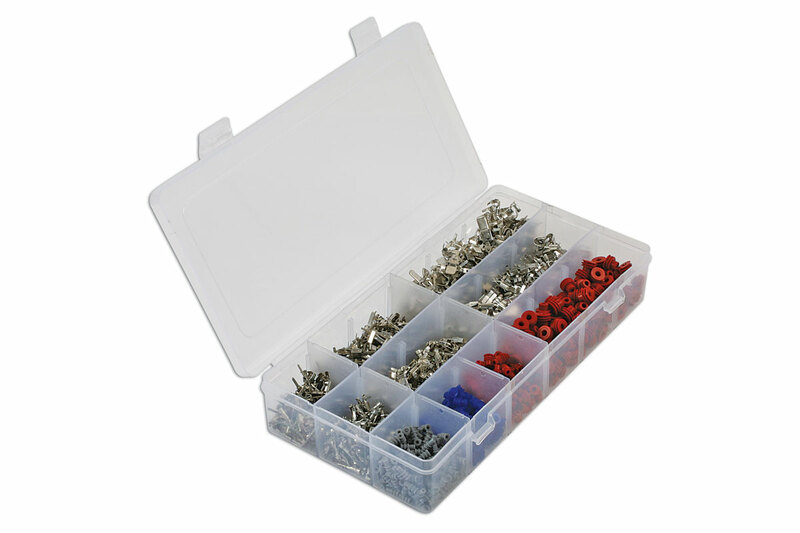 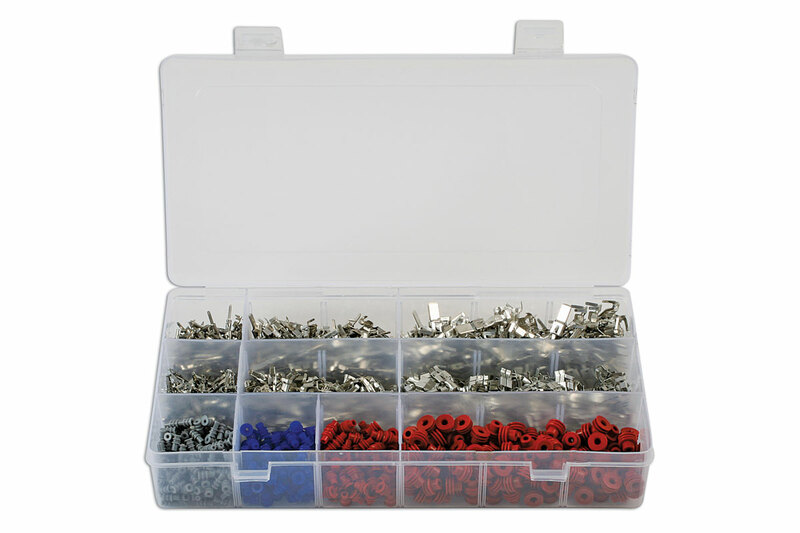 Terminals and seals are available in individual replacement top up blisters. 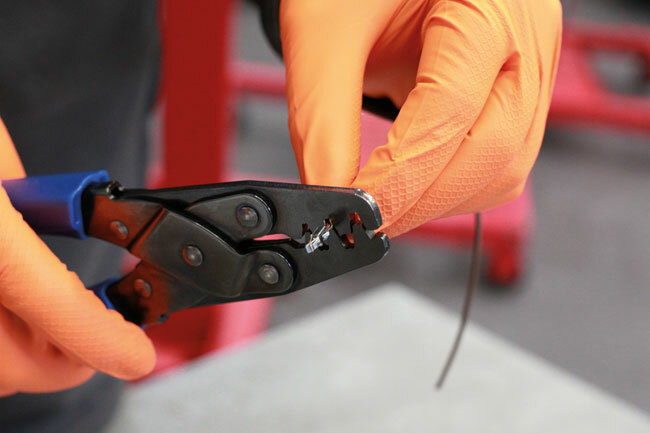 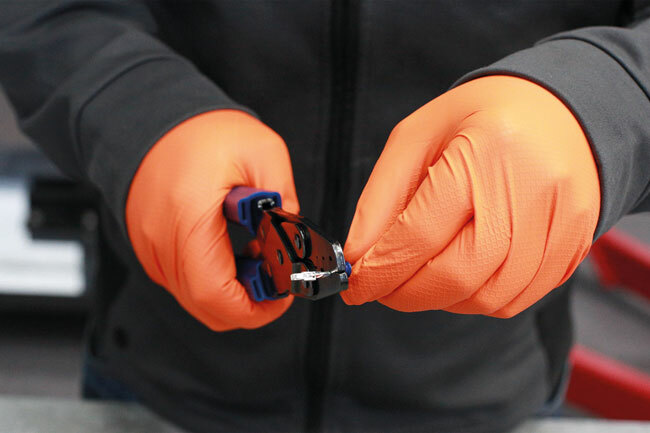 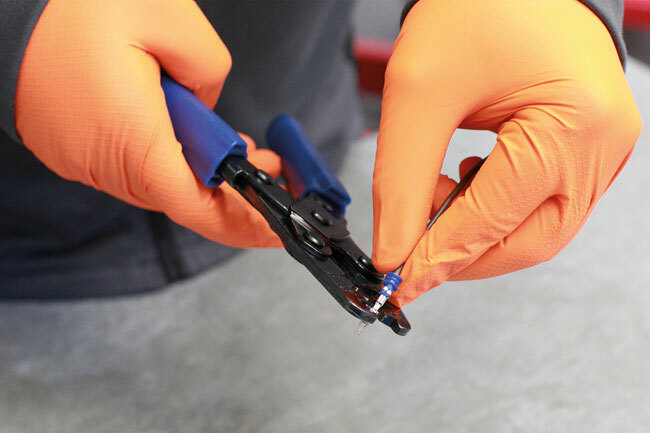 For the perfect seal on the 1.5 & 3.5 series terminals and seals please use our Laser ratchet crimping tool which has specially designed jaws for a professional crimp. 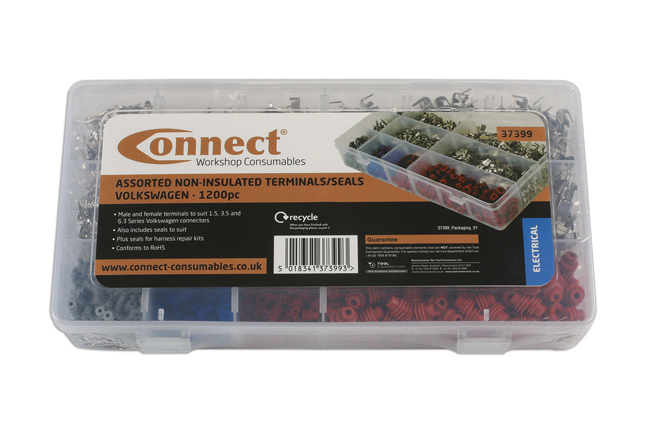 Non Insulated Terminals & Seals to suit VW Connectors. Male & Female Terminals To Suit 1.5 Series VW Connectors & Grey Seals. 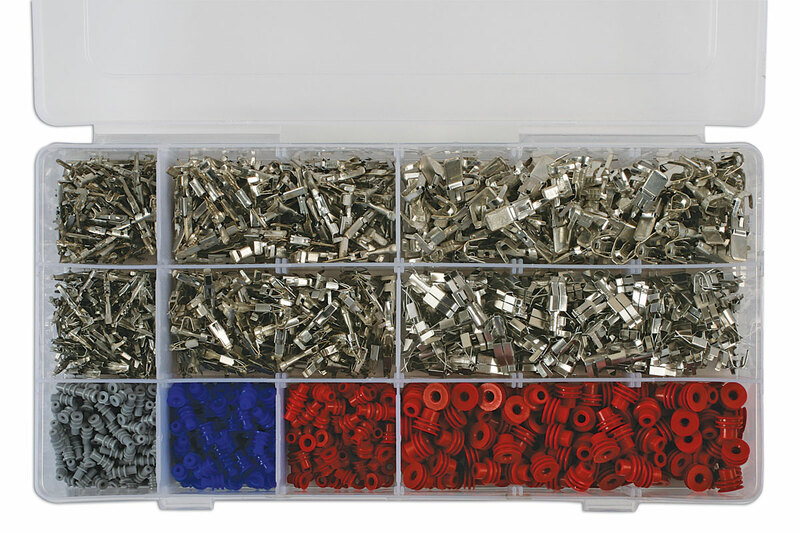 Male & Female Terminals To Suit 3.5 Series VW Connectors & Blue Seals. 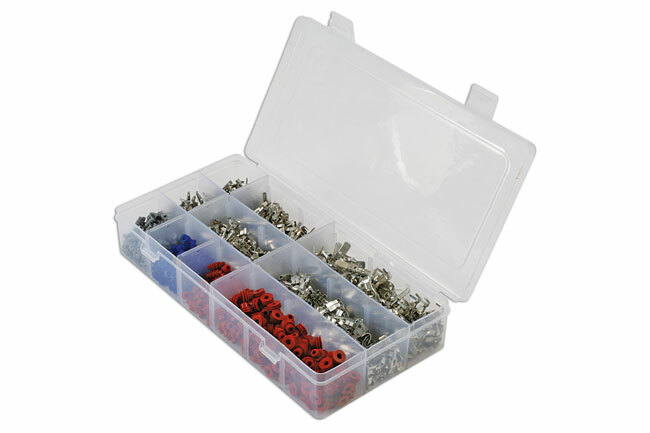 Male & Female Terminals To Suit 6.3 Series VW Connectors & Red Seals.